This week's drama over the proposed Trans Mountain pipeline expansion didn't change much when it comes to getting Alberta oil to tide water, but it sure made for captivating theatrics. 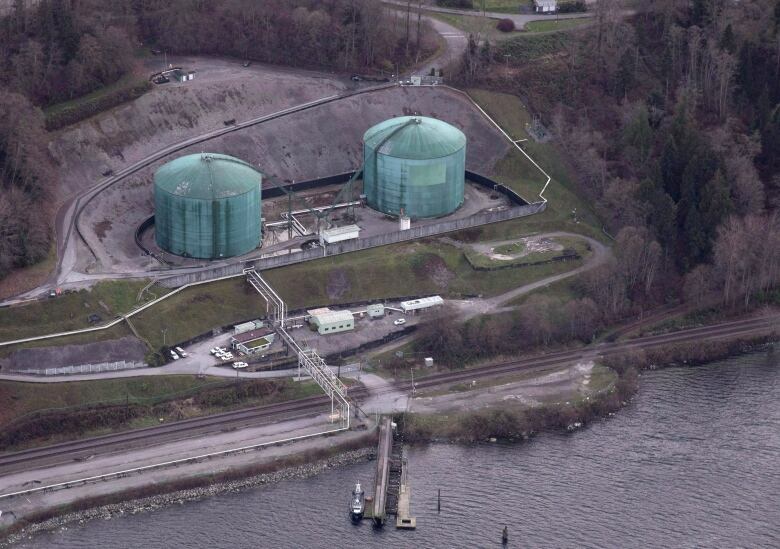 The debate over the proposed Kinder Morgan Trans Mountain pipeline expansion hit near-peak drama this week. On Sunday, Prime Minister Justin Trudeau flew back from Peru to reaffirm that the pipeline must be built. And then on Wednesday, the British Columbia government announced that it will file a legal challenge as part of its continuing campaign to stop the project. Alberta on the other hand, introduced a bill that would allow it to retaliate by restricting oil exports to B.C. 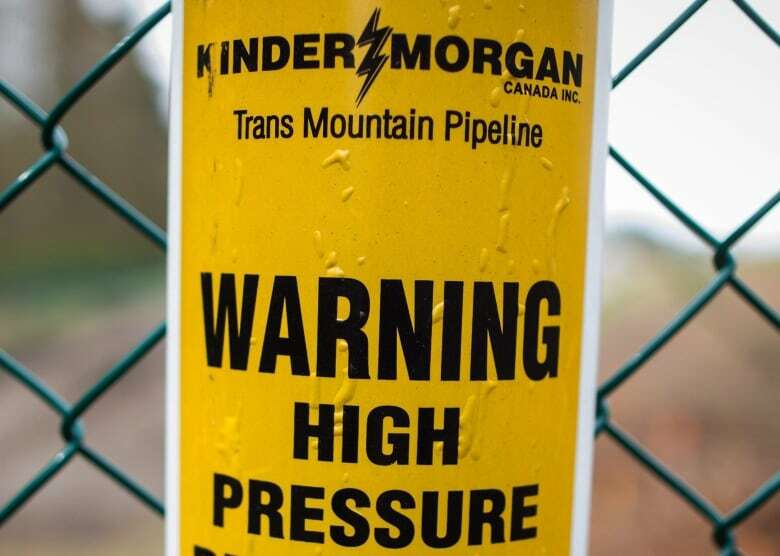 This all comes after Kinder Morgan's announcement earlier this month that it would suspend all "non-essential activities" relating to the Trans Mountain pipeline expansion due to ongoing opposition from the B.C. government. Day 6 called in the experts to look at this story as a kind of political theatre. For their thoughts on the players, their performances and how the week looked from the peanut gallery, Day 6 host Brent Bambury was joined by Conway Fraser, a communications strategist with Fraser Torosay, and Edmonton Journal columnist Paula Simons. Brent Bambury: Conway, who gave the best performance this week? Conway Fraser: I think it is theatre of the absurd, but I would say at this point the best performance has probably got to be Rachel Notley. She's an NDP premier advocating on behalf of a pipeline. This would be like Meryl Streep playing a UFC fighter. This is quite a stretch, but I'm going to give the early Oscar nomination to Rachel Notley. Paula, you're a playwright, who earned a Tony this week? Paula Simons: For the most dramatic entrance, I'm giving the award to Steve Kean, who is the pooh-bah at Kinder Morgan. First, he kicked off the drama by saying that he's imposing this May 31st deadline to get some kind of clarity about whether it can go ahead. And then, he created a whole other dramatic moment of climax when he said he doesn't think the line can go ahead. Conway just said that Rachel Notley is playing against type. Do you believe that somebody else is doing that as well? PS: I think Scott Moe, the premier of Saskatchewan, certainly surprised a lot of people. Because when Brad Wall was premier, he and Rachel Notley were at daggers drawn the whole time. Scott Moe also made a very interesting dramatic play this week by coming on board and endorsing Rachel Notley's plan ... and said in solidarity [that] he was passing parallel legislation, which really helps Notley a lot to have a Conservative premier from Saskatchewan in her corner. Conway, do you see these alliances as being something that can transcend the pipeline discussion, or are they merely part of the drama that's unfolding right now? CF: Let's be honest, this is all theatre. Whether it's Justin Trudeau coming in from his foreign trip and bringing Notley and Horgan down to the principal's office, we kind of know how this ends. This is kind of like watching the Titanic. We know the ending, it's the process that's the interesting part. Let's look at the three main players: Justin Trudeau, Rachel Notley and John Horgan. Paula, you said that Rachel Notley, the NDP premier, is looking very Margaret Thatcher in this moment. PS: Oh absolutely. This is her Falkland Islands crisis. This is her moment and people in Alberta understand this. But for the rest of you in the country, Notley goes to the polls to defend her mandate in a year. Her only hope is to get this pipeline built and failing that, her only other hope is to make it look like she went to the mattresses to get this pipeline built. So for her, it is absolutely essential that she has come out as this "Iron Lady" persona. When Rachel Notley says she's going to turn off the taps rather than allow gasoline to flow to British Columbia, it's essential that she do this for her own self-interest. But also remember she represents a base of blue-collar workers whose livelihoods hinge on this pipeline being built, so this isn't just all political show. She's a tiny little person. She's scarcely over five feet tall, she's blonde, she's ethereal. It's like that moment in the Lord Of The Rings series where you think Galadriel is this beautiful little elf princess and then suddenly her eyes glow fire. And you remember that she's one of the most powerful people in Middle-earth. You know, she's channeling Galadriel as well as Margaret Thatcher. But if she is Galadriel and Thatcher, is Trudeau Hamlet trying to escape from his father's ghost? CF: I think when I look at Justin Trudeau, I see Westworld. I see Bernard, the guy who thinks he's the architect, but really there's a bunch of people behind him controlling the whole process and he's been missing the signs of what's going on. He's been very late, in many people's opinion, coming to this issue on a serious level and only now he's waking up and realizing that it's an all-out crisis. But when I look at B.C., I see House of Cards season one Frank Underwood, who is actually the Green Party leader, pulling the strings. B.C. Premier John Horgan is like President Garrett Walker, [who] ends up going down. And Premier Rachel Notley, I see The Walking Dead's Rick Grimes. Alberta didn't suddenly go socialist overnight. The NDP was a protest vote. [It] is a very conservative province. I see Notley as Rick Grimes in The Walking Dead with some small wins here and there, but everyone around her is getting eaten alive and she's kind of straying away from her core values and principles to simply survive in the end. Paula, a poll this week found that two thirds of British Columbians are in favour of the pipeline extension and their premier, John Horgan, is against it. Who is John Horgan playing to here? PS: He's playing to Andrew Weaver and the Greens because his grasp on power is wafer thin. If he loses that Green support, it's the most minority of minority governments that he's holding onto. It's going to be fascinating to see what happens because maybe the majority of British Columbians favour the idea of a pipeline — which would be a huge economic boost for their province. His base most certainly does not. If the pipeline goes through, he has to make it look like he threw absolutely everything he had into stopping the pipeline. He has to look like he threw his body to stop it from coming across. That's his only way to survive. And if the pipeline becomes a legal and economic inevitability, his only chance of survival is to give the appearance that he sacrificed everything to stop it. So Conway, are we doomed to theatre over development? CF: It's unfortunate, but the theatre is overtaking the serious issues and I know a lot of people are out there talking about them. I don't do any work in oil and gas specifically, but I do a lot of work with heavy industry and I can tell you that the conversations happening in big industry are that something like this is having a massive chilling effect on potential investment in Canada. When you have something that has gone through all of the permit stage ... and then a new government can come in and say: "Nope not doing it," that's bad for business for Canada.